Loch Ard is a fresh water loch lying 5km to the west of Aberfoyle and is considered to be the source of the River Forth. One of the 22 lochs that make up Loch Lomond & The Trossachs National Park, Loch Ard is believed to be the source of the River Forth which flows from its eastern end. Famous Scottish author and poet, Sir Walter Scott, name checked the loch in his 1817 novel Rob Roy describing it as ‘an enchanting sheet of water.’ On the loch’s southern shores lie the ruins of a castle built by nobleman Murdoch Stewart, Duke of Albany, executed by James I for treason in 1425. Loch Ard boasts the Loch Ard Sculpture Trails offering an ideal way to explore stunning views of the national park and abundant wildlife. There are 16 miles of trails over a variety of terrain to cycle, walk or horse ride, on which you will discover sculptures as well as wildlife hides to see some of the native animals that live around the loch. 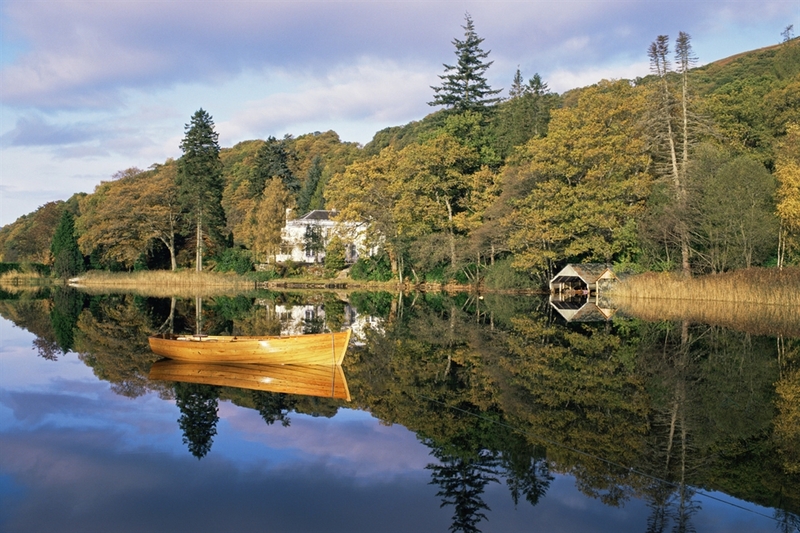 Loch Ard is also home to Go Country Adventure Park which offers a variety of water sports, including the hamster ball and kayaking, as well as other outdoor activities, such as orienteering, gorge walking and cliff jumping. 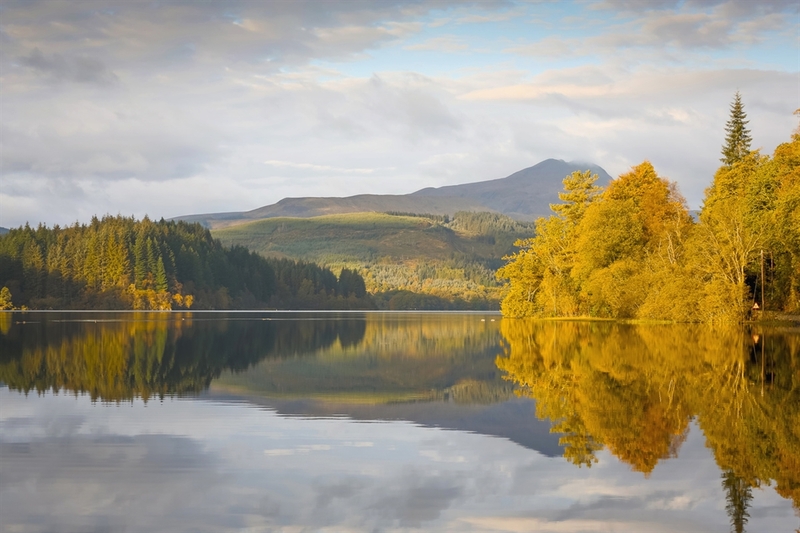 VisitScotland / Kenny Lam, all rights reserved Autumn at Loch Ard in the Loch Lomond and Trossachs National Park. Loch Ard is a fresh water loch lying 5km to the west of Aberfoyle and is considered VisitScotland / Kenny Lam, all rights reserved Autumn at Loch Ard in the Loch Lomond and Trossachs National Park. Loch Ard is a fresh water loch lying 5km to the west of Aberfoyle and is considered VisitScotland / Paul Tomkins, all rights reserved. LOCH ARD, STIRLING DISTRICT.